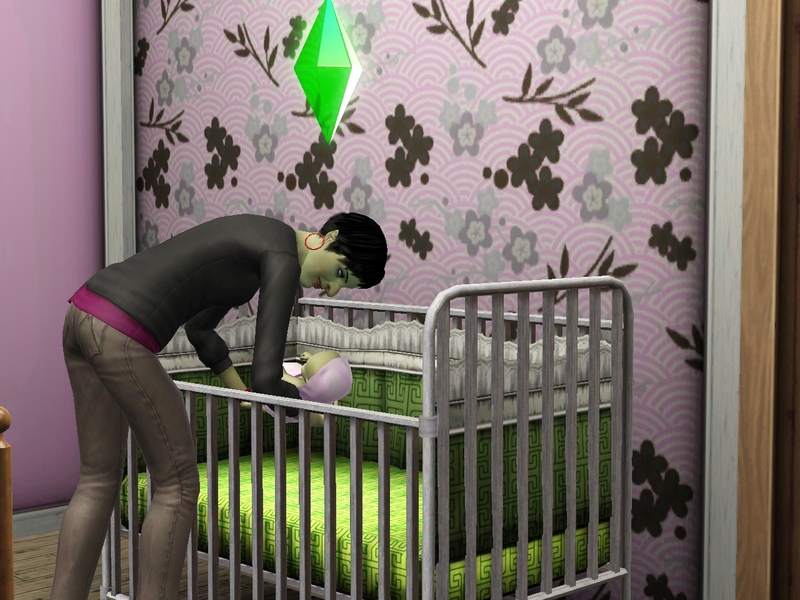 We now had two little ones, and only one crib. But it turned out that wouldn’t be a problem. It was Deanne’s big day. 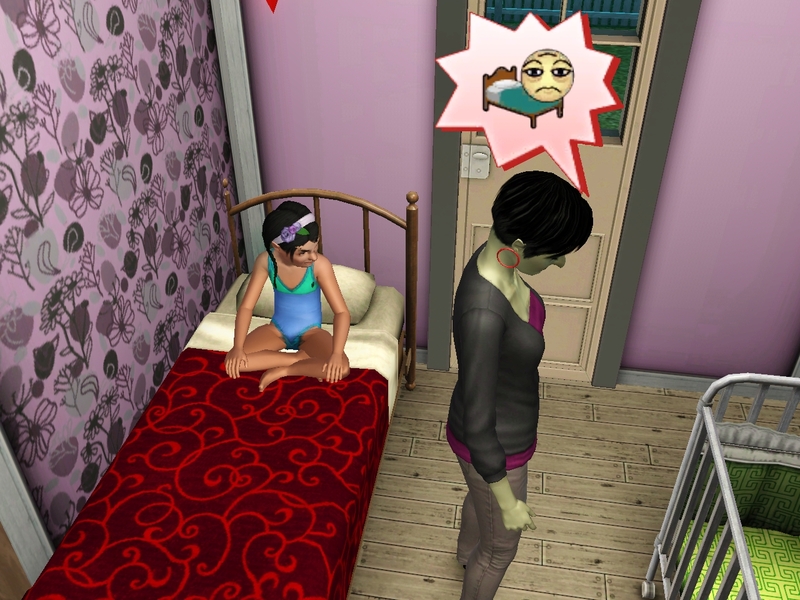 While we all got ready to welcome Our second-youngest into childhood, Hetal slipped away to put the youngest to bed. It was kind of neat and tidy that way, actually. Having our last child so much later than the others had its benefits. 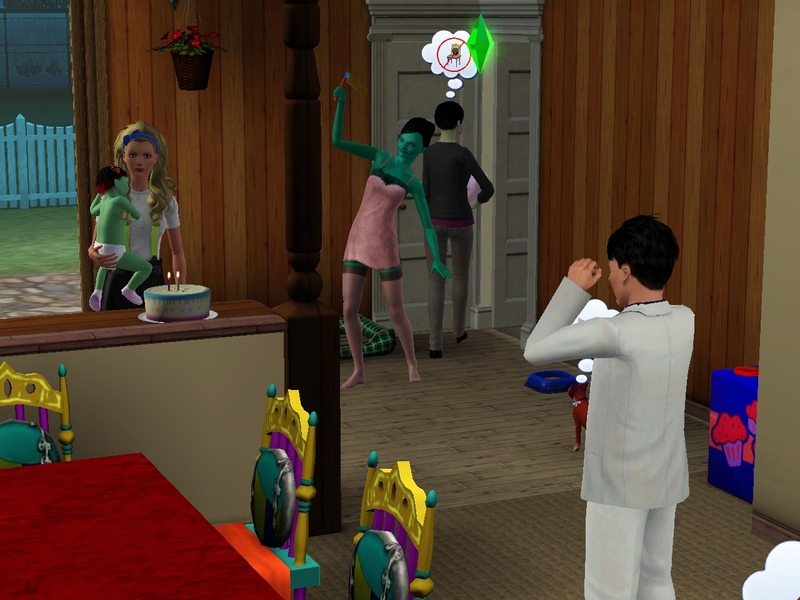 Deanne was only too eager to get her cake, which was Branden’s cake that he failed to use. Afterward, we tried to clean up. But the dishwasher was broken. Also the bathtub. You’d think I never fix anything around here. 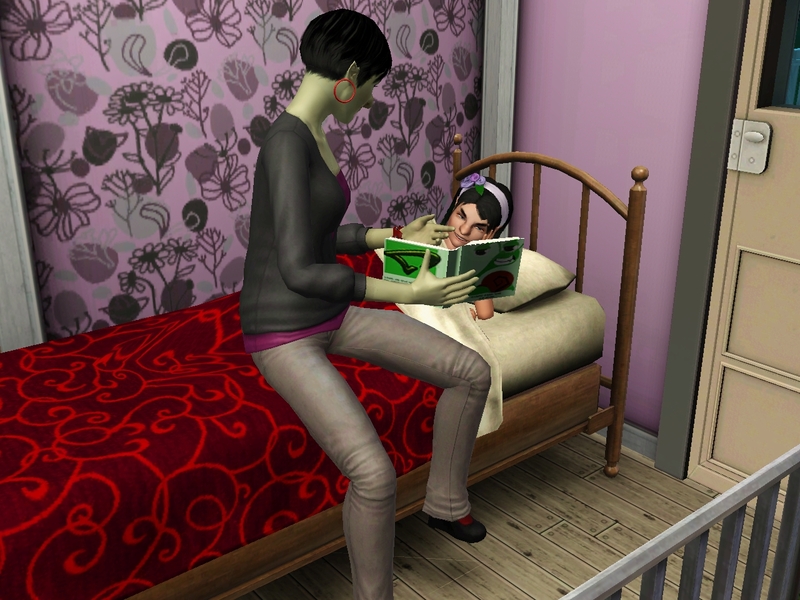 Afterward Hetal read Caitlyn a bedtime story. She really has become a model mom. Though Caitlyn wasn’t satisfied. It seems like the kids never get the bedtime story they want. When he got there, he realized that was actually kind of creepy. So he ran back home instead. 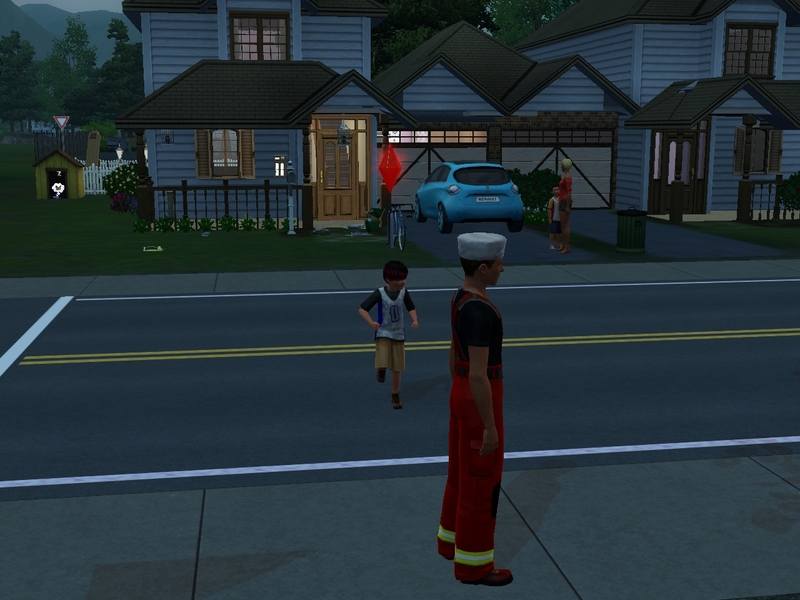 The next morning, my little genius was off to school! I just know she’ll do well. But I guess the first day was a field trip to the jail, which didn’t go all the well. The poor girl has a bit of a sensitive stomach. I headed off to work, and where do you think the emergency was? William’s house! 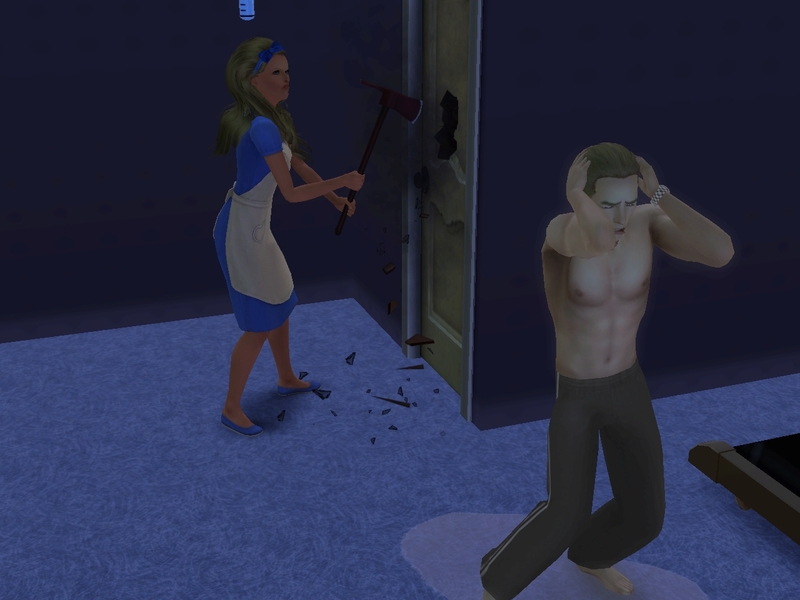 He was home on his honeymoon, and apparently things got a little out of hand. 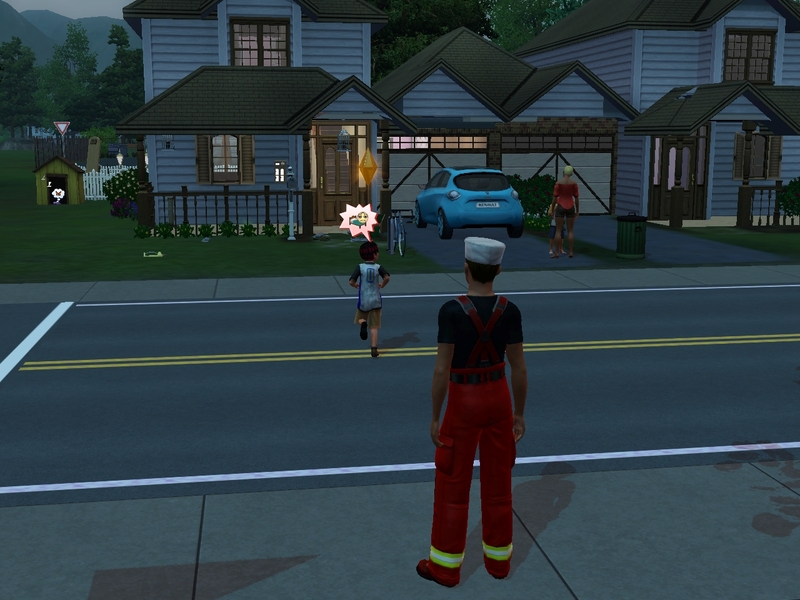 I would never have guessed it, but William is a big baby when HIS house is the one on fire. He freaked out, hid in the basement, and peed himself. The first thing I had to do was clear the escape for a…. young woman who is not Beatrice. Wait a minute…. 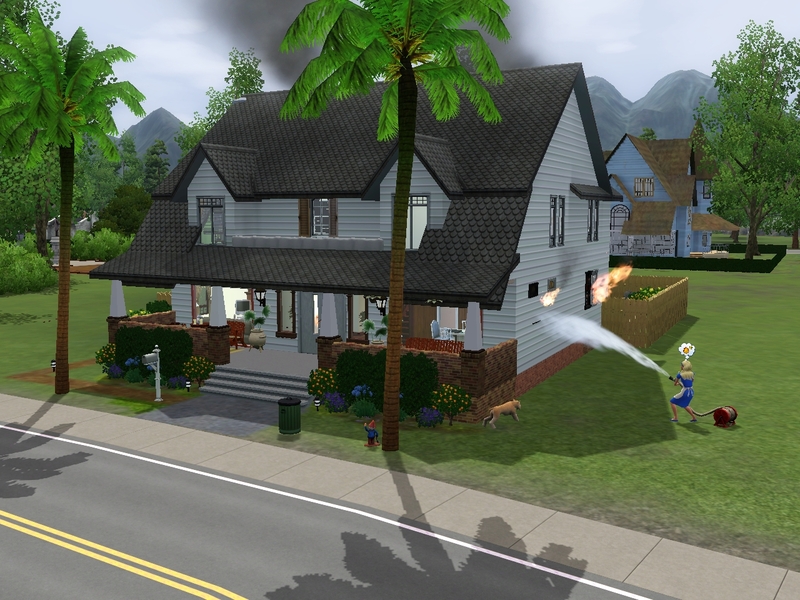 maybe William wasn’t hiding because of the fire! 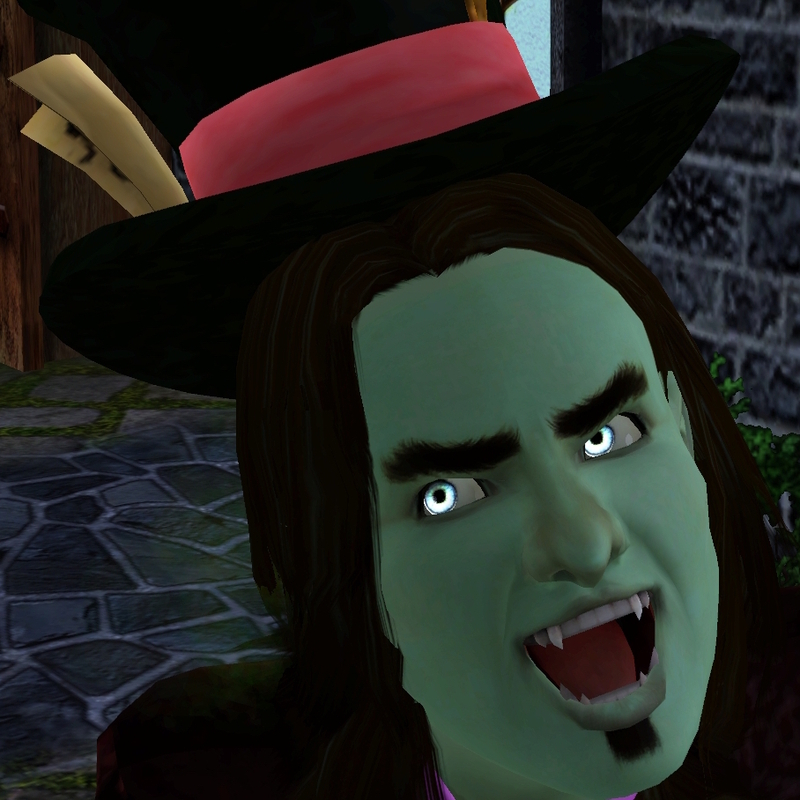 What are you up to, William? Does your wife know about this?? I guess a good friend asks no questions. So I went ahead a opened up the bathroom for him. No wonder he peed himself. Meanwhile, Jin was back to baby care duty. She decided to relax and let everything hang loose. Or maybe she forgot her clothes? I’m not sure. She went to play with the kitties. Then she headed to the bathroom, and a strange feeling swept over her. Well, it was about time, I guess. She certainly earned her gray hairs. Considering her new, wisened state, perhaps it would be a good idea for her to put on some clothes. 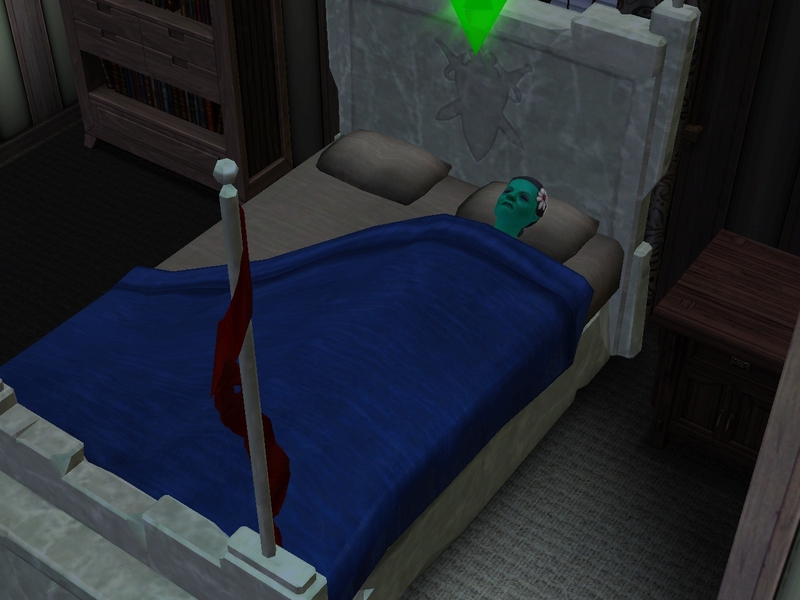 But she decided to sleep in my bed instead. NO FAILS! Really! There will be plenty next post, though. I’m on a roll, so let’s keep going! I wanted to get all the way to Erin’s age-up, but there is SO MUCH STUFF happening, and I was starting to feel that having too much in one post makes it hard to appreciate all the hilarity. So we’ll get there next time. 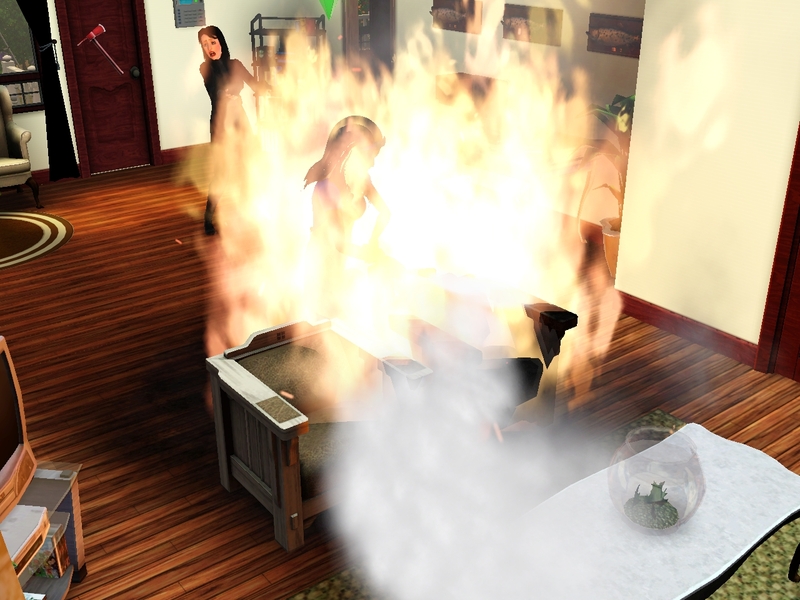 William and Beatrice are living in a copy of Buffy’s Revello Drive house that I downloaded from ModTheSims. It was nice to get to show it off a bit. Now that Deanne is a child, I’d say she’s not quite a face clone of Allison. She has Allison’s face shape, nose, and eyebrows, but I think she has Jin’s mouth. Jin almost always looks stern or unhappy. Deanne also looks serious almost all the time, either contemplative or just vacant. And no, Deanne is not a Genius. She is, however, Insane as of her childhood birthday. Allison managed to give her all her skills with the help of the deliciously cheaty playpen and walker. Deanne is a Clumsy, Insane Angler. Now only Christof is sane. 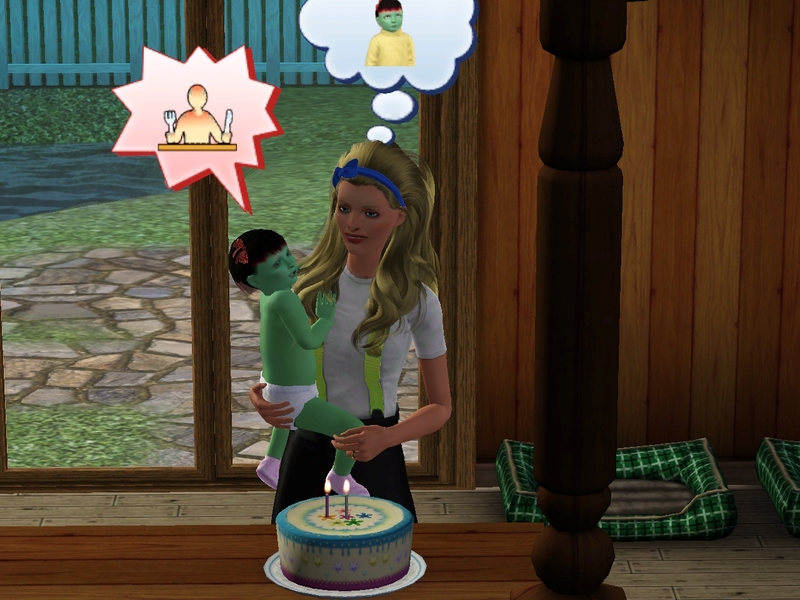 Hetal, by the way, had such an amazing fifth pregnancy that I got to pick both of Erin’s traits despite her being born outside the hospital. I rolled the second one. She’s an Insane Schmoozer. Cats. We need more cat pictures. I think that will be in the next update too. We need a kitty heir poll! So many things that made me laugh in this chapter 😀 all of the kids are really adorable. Well, except Erin, but that's just because she is still a baby. As soon as she ages up, that will be not a problem any more. William seems to be a bit of a crybaby… I wouldn't have thought that 😀 Looking all manly and stuff. Such a great chapter! 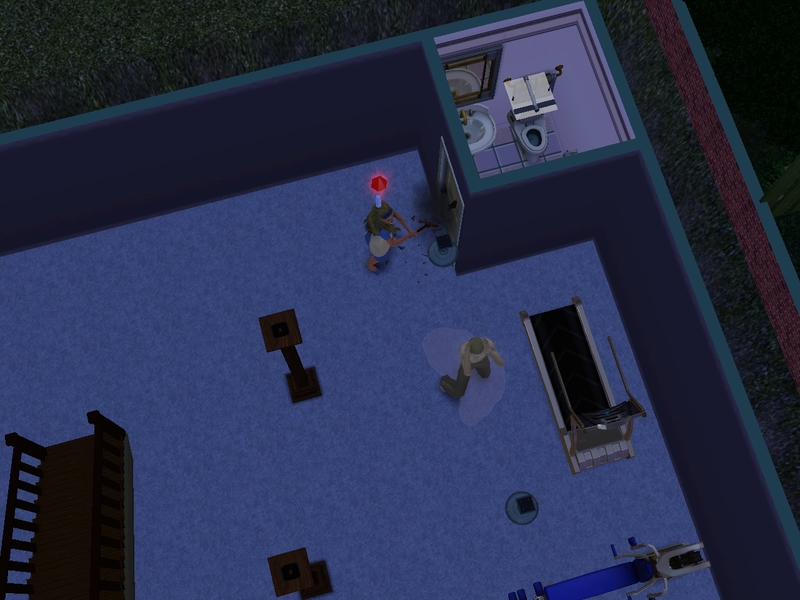 Poor William, all locked out of the bathroom and needing rescue. I still love Spike, though. Jin having her birthday in her birthday suit was perfect. Every time I think this legacy can't get more absurd, it proves me wrong! The stuff with William was fabulous, and that didn't have anything to do with an ISBI. 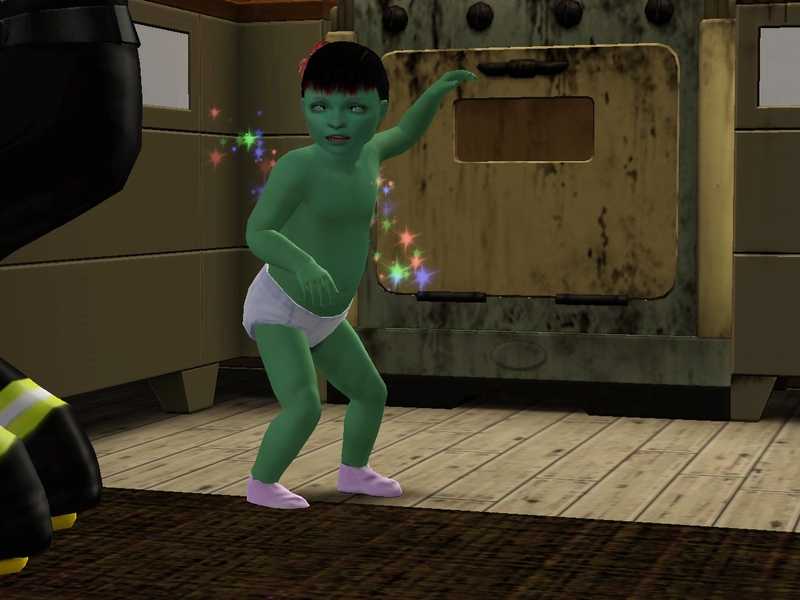 I have no idea why Jin was wandering around the house naked. 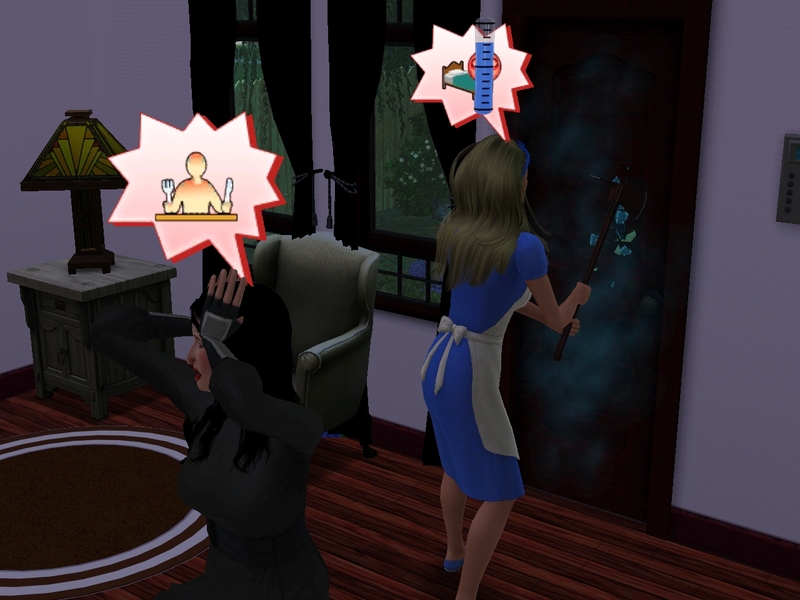 I think she glitched getting out of the shower. I hadn't thought about the birthday suit angle. That makes it all the better! I fear (?) we will never have five teenagers. 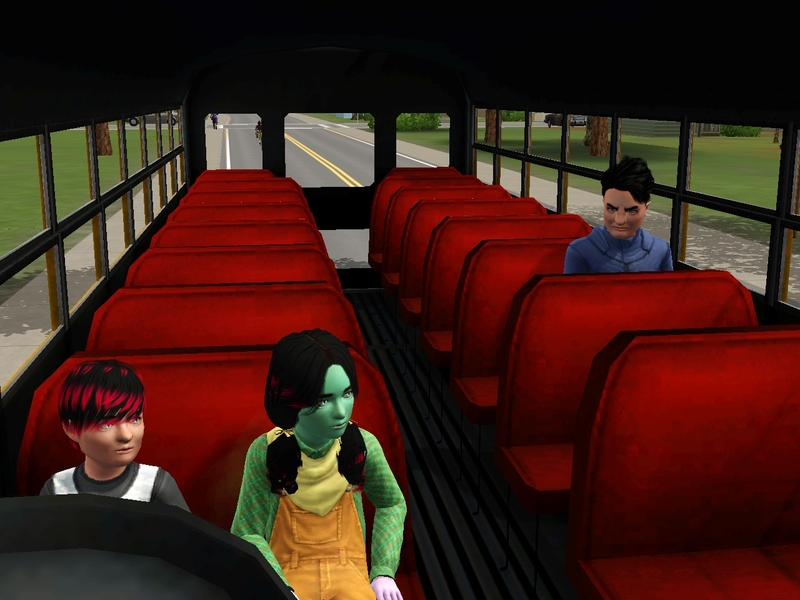 Erin's just too much behind the others, and Branden will be an adult before she's a teen. 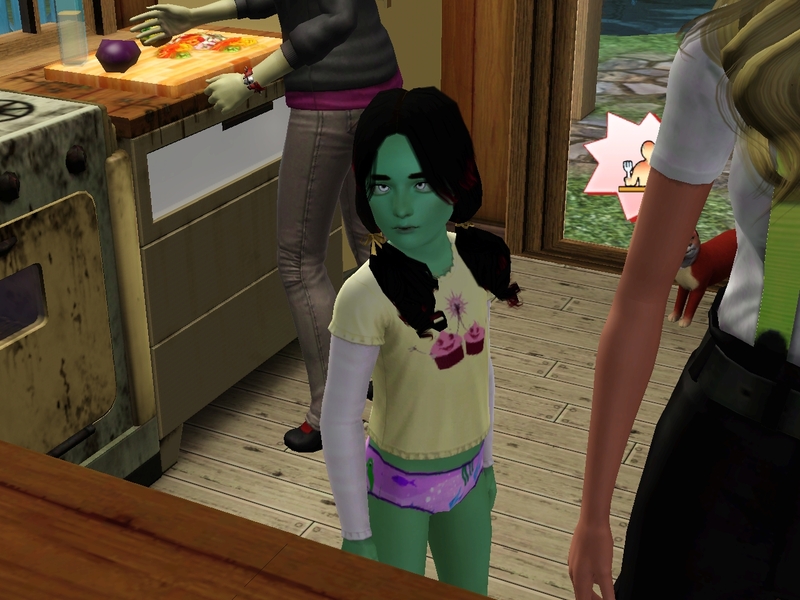 Before Erin turned up, I was going to wait until everyone was a teenager before I put up the heir poll, but I think I'll just have to use a CAS shot of her as a teen to put her on even footing with the others. I love Spike/William. I honestly can't wait for the next generation as I think he'll make a great addition to the family tree. He'd better not try any of his antics on the Wonderland girls though as their very protective mummies will be having words. My money for the heirship is on Deanne though. A clumsy angler is all kinds of awesome! I meant to comment on a previous post that the kid running through the garage made me LOL. Nice to have Jin finally in a different lifestage than Allison and Hetal!